While this year marks the 20th anniversary of the Declaration on Human Rights Defenders, a global crisis is unfolding. 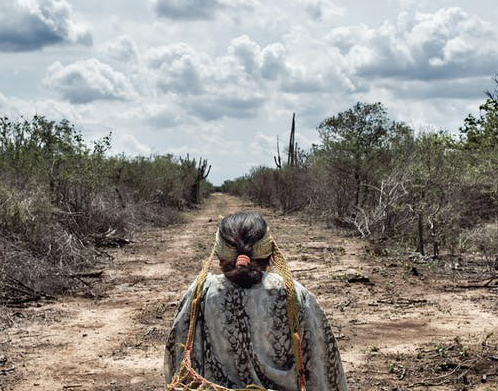 The rapid expansion of development projects on indigenous lands without their consent is driving a drastic increase in violence and legal harassment against Indigenous Peoples. In an open letter last month entitled “They should have known better”, the UN Special Rapporteur on the rights of indigenous peoples, Victoria Tauli-Corpuz, states: “In spite of incredible risks, Indigenous Peoples continue to speak out. They continue to defend their ways of life, their communities, and the lands and forests all humanity depends on.” The full statement of the Special Rapporteur appears here. On September 5th and 6th 2018 a high level international conference took place in Copenhagen, Denmark, under the title “ Defending the Defenders - New alliances for protecting indigenous peoples’ rights”. The conference was convened by International Work Group on Indigenous Affairs (IWGIA) with the financial support from the Ministry of Foreign Affairs of Denmark and IWGIA. More than 120 people participated, indigenous human rights defenders from all regions-several of them under persecution themselves- government officials, private sector and academia. Also present were the UN Special Rapporteur on the Rights of Indigenous Peoples, Vicky Tauli-Corpuz, and the Special Rapporteur on Human Rights Defenders, Michel Forst. The Institute for the Study of Human Rights was represented by Elsa Stamatopoulou, Director of the Indigenous Peoples’ Rights Program. A list of killed Environmental and Human Rights Defenders in 2017 was shared by IWGIA and is availble here. The main aim of the conference was to understand why in particular and increasingly indigenous peoples from developing countries are being killed or persecuted. The conference examined the key drivers behind this global phenomenon and discussed context-specific cases. Testimonies were offered from around the world. The conference identified what could and should be done to change the current situation. A global campaign should be launched linkd to regional and local levels. Documentation of criminalization cased should be enhanced and should be disseminated (including private actors and investors) on criminal and human rights violations. Collective responses of indigenous communities should be strengthened. People should work at several levels and with various methods and strategies; governments should be put on the spotlight. Documentation should be built and local capacity and competence should be enhanced for this purpose. This is a long-term process that needs commitment and consistency, also in terms of funding, alliances and legal support. Empower Indigenous peoples to protect their land rights, also the possibility of building their own autonomy. Engage actively with existing funding mechanisms and organizations in terms of land rights and human rights defenders protection. Build capacity and foster exchange among all rights holders and stakeholders, Indigenous Peoples’ organizations. It is clear that the issue of the systematic persecution of Indigenous human rights defenders is an issue for critical human rights action and solidarity for all of us.